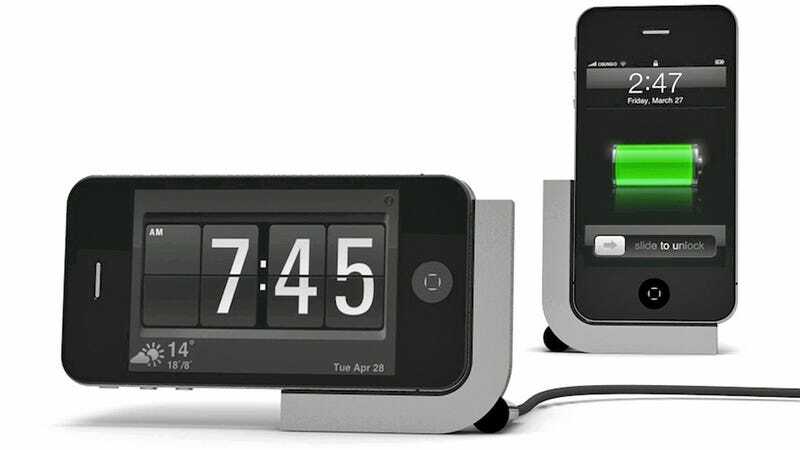 Yet another device that smartphones, like the iPhone, have made obsolete are alarm clocks. The only minor issue being that you need some way to prop them up to check the time, and Bracketron's MetalDock does exactly that, with style. Available at the end of June for just $35, the all metal dock can hold your iPhone in its portrait or landscape orientation while charging it at the same time. Its three foot cable cleverly keeps the dock propped up, while a set of rubber feet stop it from sliding all over. And its ultra-minimal design makes it perfect for travel, particularly if you end up in a dated hotel room lacking an iPhone compatible alarm clock.